A tri-fold brochure is a staple piece for print material. Before you get started, check out the following list to make sure you’re on the right track for your business. 1. What is the Purpose of your Brochure? Before compiling the content for your brochure, it is crucial to define its purpose. Is it a takeaway at a trade show? Will the piece be distributed as a mailing? What are you hoping the brochure will do for your business? Answering these questions will set the process off in the right direction. Once you know your purpose, begin collecting content like copy, photography, charts or diagrams, etc. Be unique in the look and feel of your brochure. Take a peek at brochures used by your competition and find ways to stand out. Your brochure might be the first impression you give, so keep it in line with your main objective to paint the picture and keep them interested. Stay consistent with your brand to help your customers/clients recognize it at a glance. Clearly and creatively written copy is essential for a successful brochure design. Not only is the information important, but the copy is a crucial part of the overall design. Be creative with headlines. This is a great way to pull your reader in and should not be dropped in as an afterthought. Eye-catching, high resolution images make a brochure visually enjoyable and carry the reader from one page to the next. Carefully select stock images that portray your ideas written in your copy. If you include images of products, it is best to hire a photographer to ensure high quality representation of your products. Thoughtfully consider your paper options. Heavier stock makes your customer believe your company and products have more value. 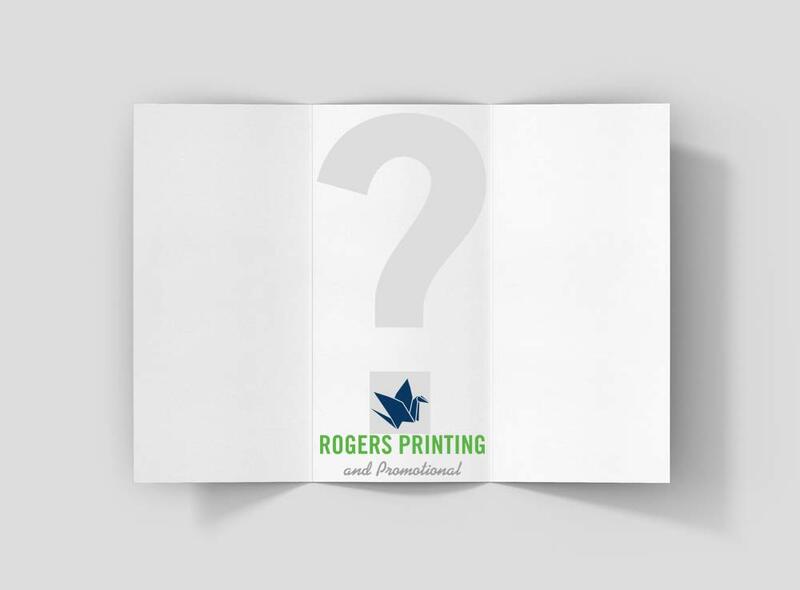 Different paper options will greatly impact your print quality and functionality of your brochure. We would be happy to show you different options based on the purpose of your piece. Your brochure should always lead your reader back to you. You can involve your reader by inviting them to schedule an appointment, place an order, visit your location, and more. This is an essential item to the value of your brochure. By creatively playing out vital information, your customer is likely to keep your brochure for reference. Create a brochure worth keeping to ensure your information is memorable and accessible. If the thought of a creative, compelling brochure is overwhelming, just stop after step one and get in touch with us! We’re happy to help you leap above the competition with marketing materials that truly stand out in a crowd. Contact us to get started.